BioTek Instruments Precision 2000 Microplate Liquid Handler . New Life Scientific, Inc. Tested. Fully Functional. 90-Day Warranty. 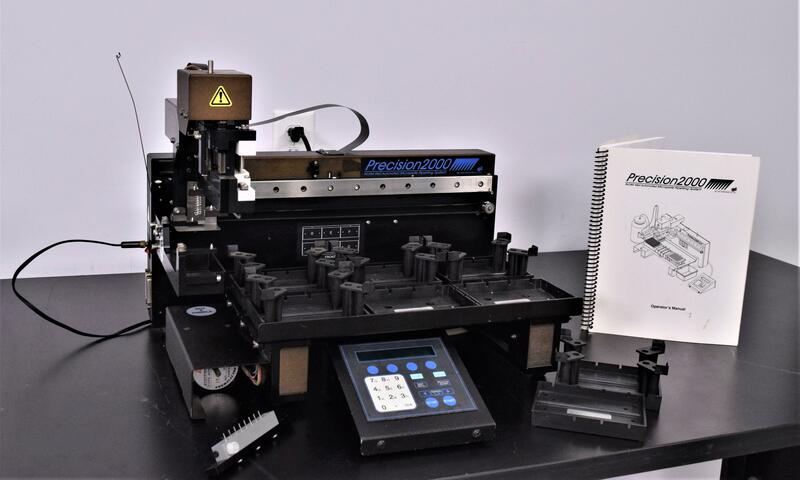 Our in-house technician inspected the BioTek Instruments Precision 2000 and lubricated some of the slides for optimal performance; the technician was able to power it on and initialize the BioTek Instruments Precision 2000 without any issues. The keypad has multiple preprogrammed runs installed on it. The technician ran one of the programs and the equipment responded flawlessly. This equipment does come with multiple plate racks. 20.75 x 14 x 14.75 in.